Photos will follow. This is so thick and rich and not greasy. It seems to absorb very well! 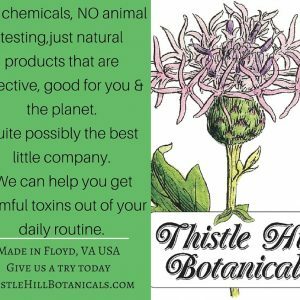 Our NEWEST addition to the Thistle Hill Botanical family will come in a Large 8 ounce Emerald Green BPA FREE container. A little goes a long way! This product like everything we make uses the best ingredients. No animal products, no parabens, no bad stuff at all! Natural plant based emulsifiers. These will be on our website and in our stores very soon. GREAT GIFT IDEA!